Musquin overtook Tomac to win the first race in Mount Morris, Pennsylvania, but Tomac won a tense and tight second race for the overall victory. Earlier Saturday, Baggett was fastest in qualifying rounds, posting a 1-minute, 55.307-second lap. 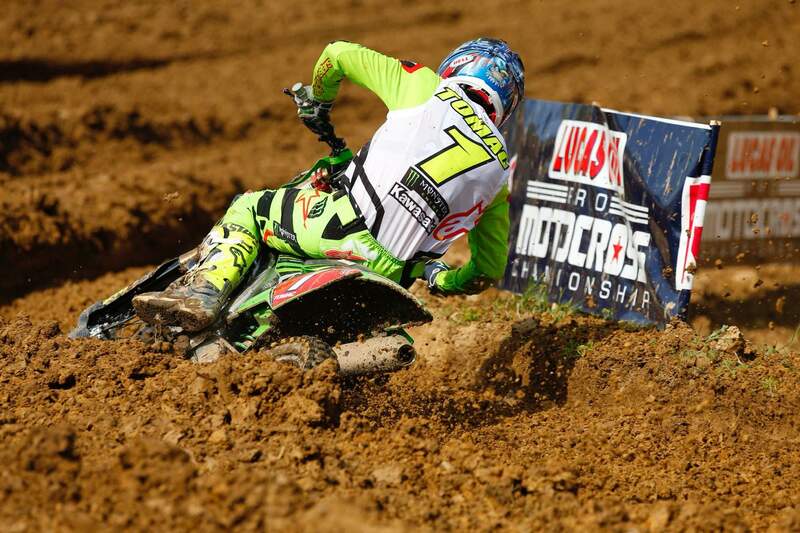 Tomac was second, at 1:56.393, followed by Musquin, Barcia and Roczen.